You know the difference between someone trying to give you a hug versus a chokehold, but your overprotective dog isn’t willing to take the risk. When your friends come to visit, they can’t get close without your dog growling and barking. Your dog might even decide to bite. Being overprotective isn’t a behavioral trait to take lightly, and it’s time to do something about it. For most dogs, the road to becoming overprotective is long and subtle. Their owners don’t realize it’s happening until the behavior progresses to a dangerous level. Whether it happens purposefully, accidentally, or subconsciously, many overprotective dogs are rewarded for their behavior. The problem is, their pet parents don’t realize it’s happening. Rewards don’t always have to be about treats and praise; anything that gives your dog attention is a potential reward. Every time you respond to your dog’s behavior with a pat on the head, laugh, or any other kind of attention, you reinforce whatever your dog just did. Your dog eventually understands that aggressive behavior is doubly rewarding: he gets your attention (even if you’re mad), and the person he doesn’t like goes away. It’s hard to believe when your dog is sprinting out the door with your favorite slippers in his mouth, but even the most mischievous pups value rules. They don’t like not knowing where they stand in a household, and they appreciate clear-cut guidelines to help them feel confident. 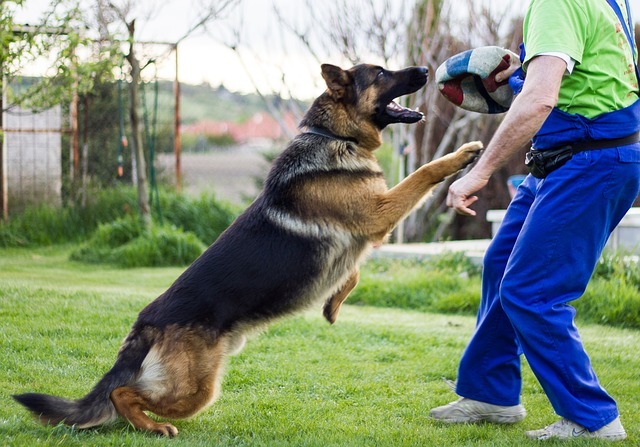 When families don’t prioritize training, dogs pick up undesirable behaviors. They start to think they run the house, and it’s their job to keep the family safe. There are also dogs that act aggressively toward visitors and other outsiders because they’re afraid. Aggression is a normal response to fear. Sometimes it’s because the dog missed out on vital socialization, and some dogs have naturally fearful dispositions. It’s also possible your dog is acting out because of a negative experience he had in the past. A history of abuse at the hands of humans is an extreme example, but nervous dogs can also react poorly to small things like being bumped by a stranger or being startled by someone’s loud laugh. You won’t be able to solve your dog’s overprotective behavior in one day. In the meantime, you don’t want to put your life on hold. You can still invite guests into your home as long as you prioritize managing your dog’s behavior. You’ll need a short-term strategy to start showing your overprotective dog what behavior is unacceptable while also keeping your guests safe. There are a few ways to do this. Leash: Keeping your dog on a leash while friends are visiting gives you control over your dog’s actions. Leash him up before the doorbell rings and keep him close as you greet your guests. During the visit, you can let the leash drag and only use it if you have to. Muzzle: If your dog is a bite risk, they should be muzzle trained. Even dogs that have never bitten a person benefit from muzzle training, and it doesn’t mean your pup is a “bad dog.” But before you muzzle your dog, you need to make sure they’re comfortable. Take time to create positive associations with the muzzle so wearing it doesn’t cause more stress. Separate Room: Your dog won’t get better without practice, but sometimes you have to weigh the risks versus rewards. If your overprotective dog is in the beginning stages of training, keeping him separated from guests might be best. You don’t want to put a friend’s safety at risk or needlessly stress out your dog. As long as you keep working toward stopping the behavior, separating an overprotective dog from company is a temporary management solution. 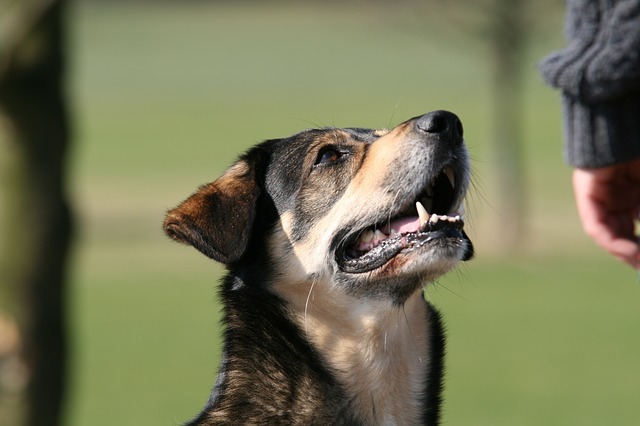 Obedience training is a must for every dog, and it’s especially important for overprotective dogs. Working with your dog on things like “sit-stay,” “down-stay,” and “heel,” will help build his impulse control. He’ll start seeing you as a capable leader and will turn to you for guidance. 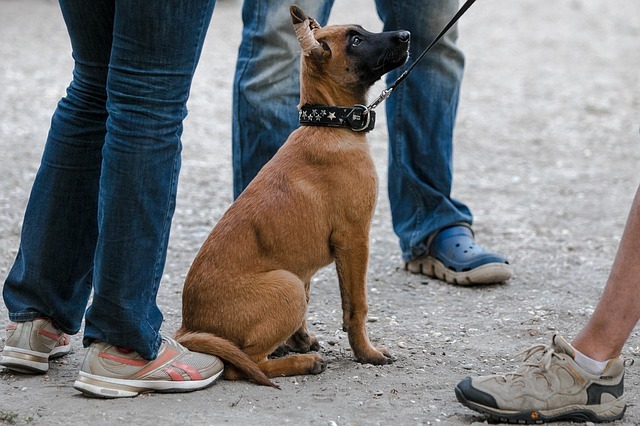 A mistake many pup parents make is stopping obedience training once their dog masters the basics skills. Being well-trained is about more than knowing how to sit when a person holds a treat in front of their face. It’s a lifetime lesson, and even senior dogs need regular training. Commit to training your dog several times a day for short periods of time. Better yet, enroll them in a professional obedience class. You can’t help but smother your dog with love every time he’s within petting distance, but that isn’t always what’s best for him. He’ll start to feel entitled to your attention, and that’s part of the problem. To remedy this, initiate a “work for it” program that allows you to show your dog affection as long as he earns your attention in appropriate ways. Make him sit, stay calm, and do whatever else you ask before doling out whatever it is he wants. If he’s excited for dinner, make him sit and leave it before digging in. If he wants in your lap, ask him to do a trick first. Never give your dog attention if he rudely nudges your hand or barks in your face. He needs to know polite behavior, and polite behavior only, is how he gets what he wants. You ignore everything else. Most overprotective dogs choose to guard only the person they feel closest to. It’s usually the same person who fills their food bowls, takes them on walks, and handles training. They become obsessively attached, and a strong bond gradually mutates into overprotective behavior. Putting some space between you and your dog will help him learn to trust other people. Enlist the entire family’s help and take a step back in your role as primary caregiver. Have someone else feed the dog a few times a week, and encourage other people to engage him in playtime. This will help him be more comfortable with different people. 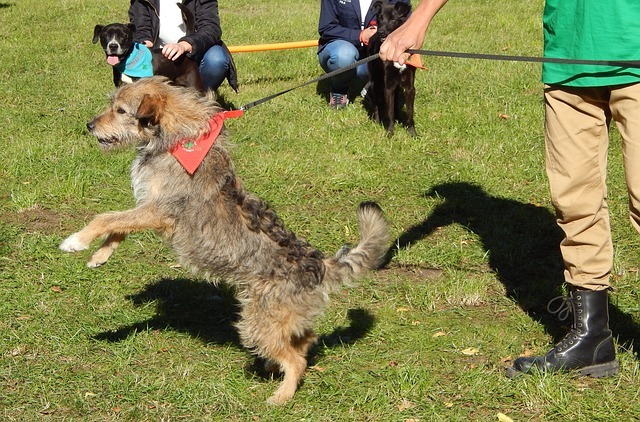 Socialization is best done during the puppy stages, but even adult and senior dogs benefit from new experiences. Exposing your overprotective dog to new places, experiences, and people, will help him learn that not everyone is out to hurt you. Make sure each new experience is positive, and encourage your dog without forcing him to interact. If your dog is afraid, you don’t want to make things worse. Take socialization at the pace he’s comfortable with. If he seems overwhelmed, back up and try something a little smaller. Check out this article on how to socialize adult rescue dogs. There are plenty of dogs that are specifically trained to be guard dogs, and certain breeds are more protective than others. Unprovoked and uncontrollable protective aggression, however, is dangerous. Whether your dog is starting to show subtle signs of being overprotective or you already know you can’t welcome guests into your home for fear of your dog’s behavior, these steps will help. If the situation is beyond your control, contact a positive reinforcement dog trainer for expert help with your overprotective dog.